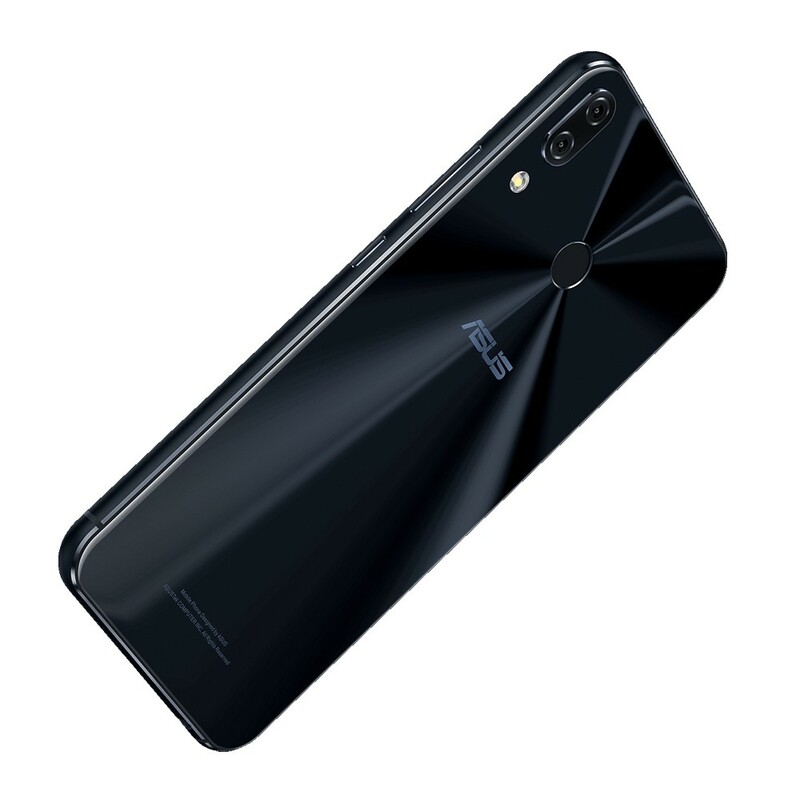 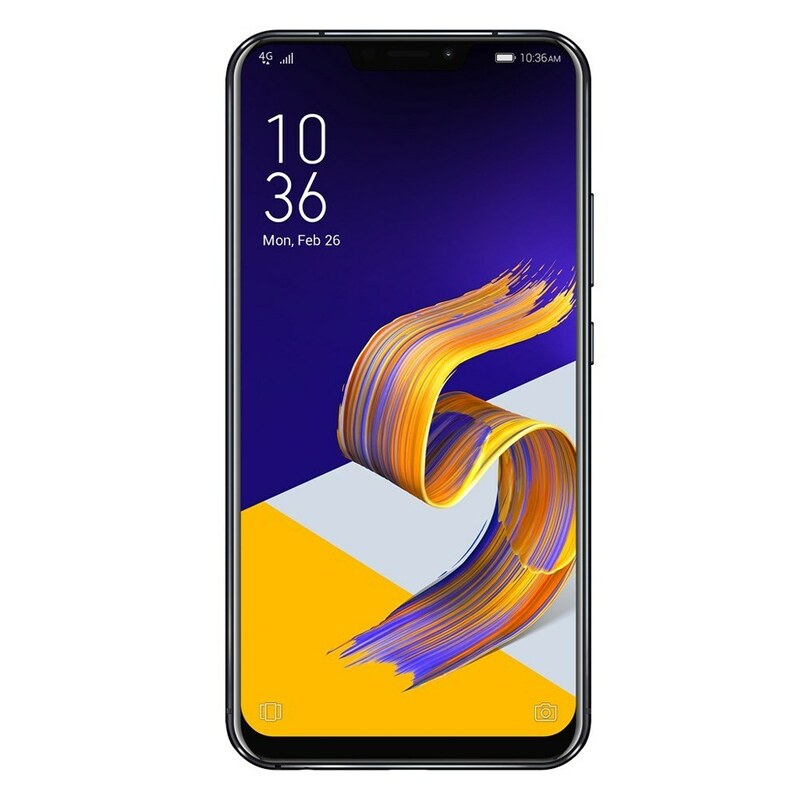 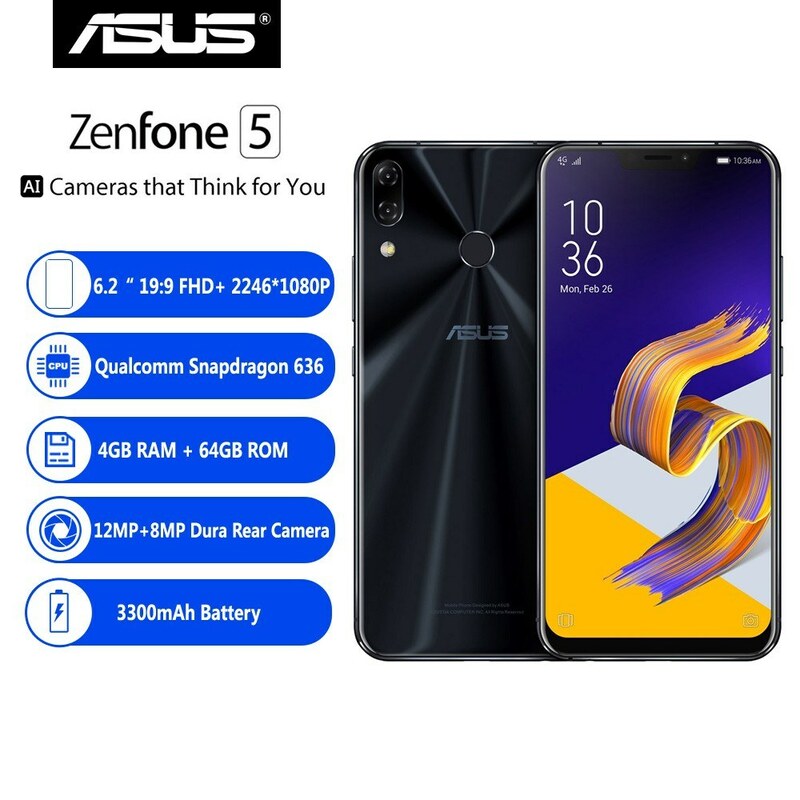 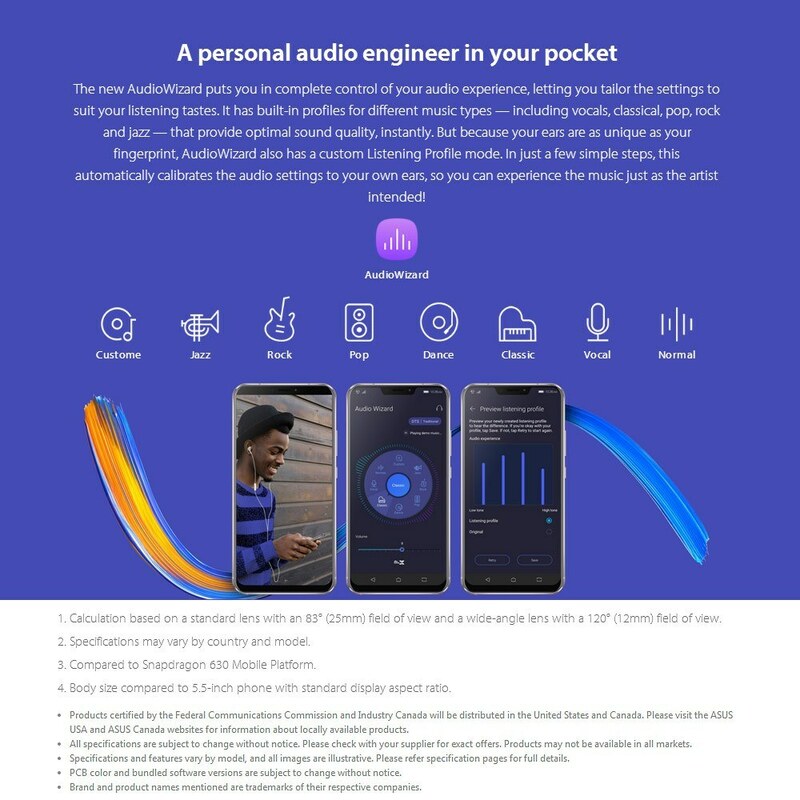 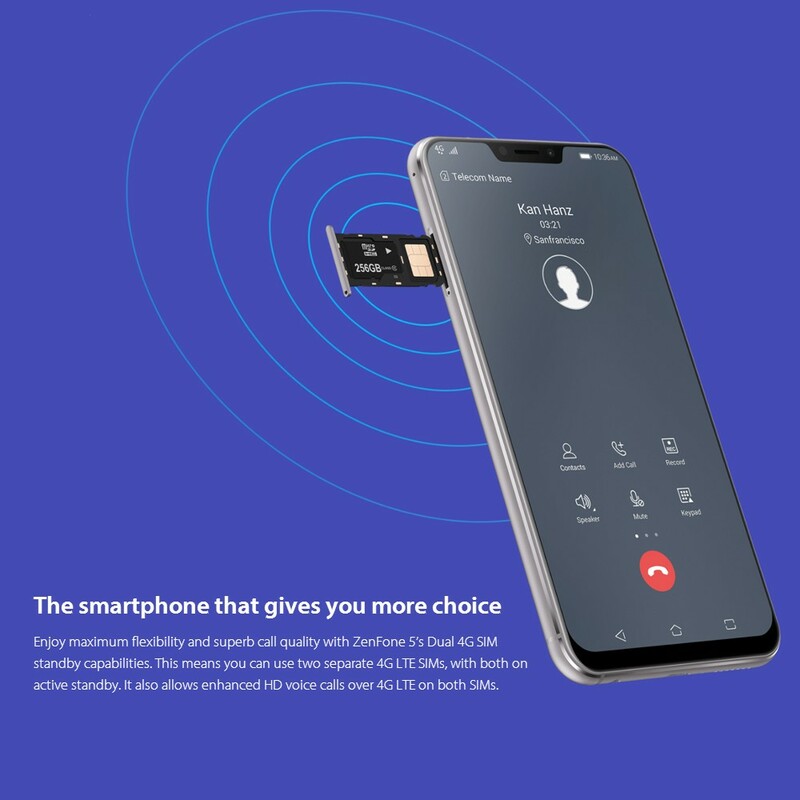 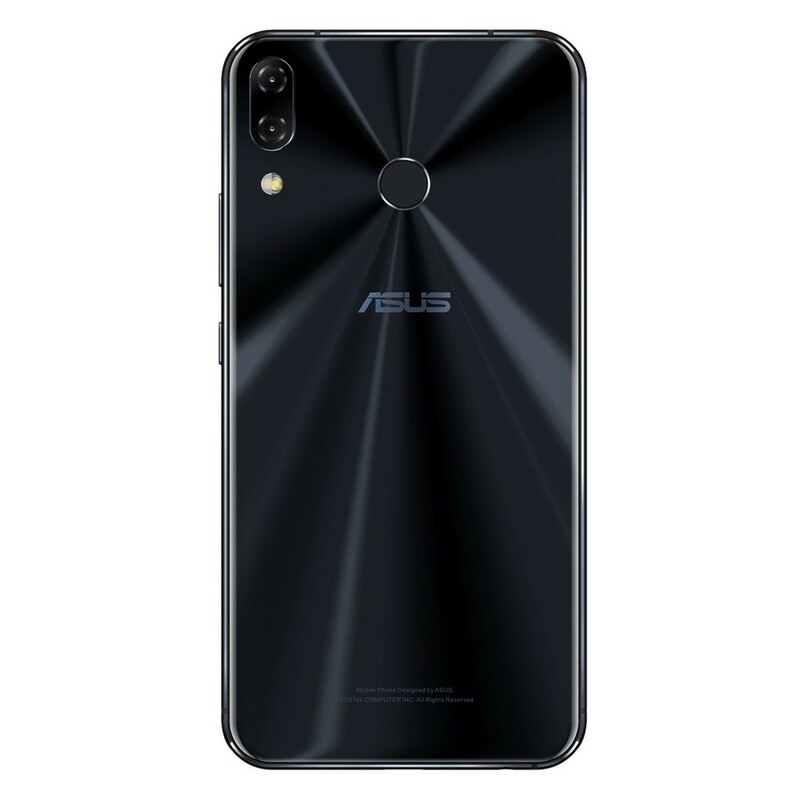 Asus ZenFone 5 smartphone is a dual-SIM handset that runs ZenUI 5.0 based on Android 8.0 Oreo. 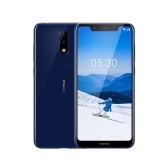 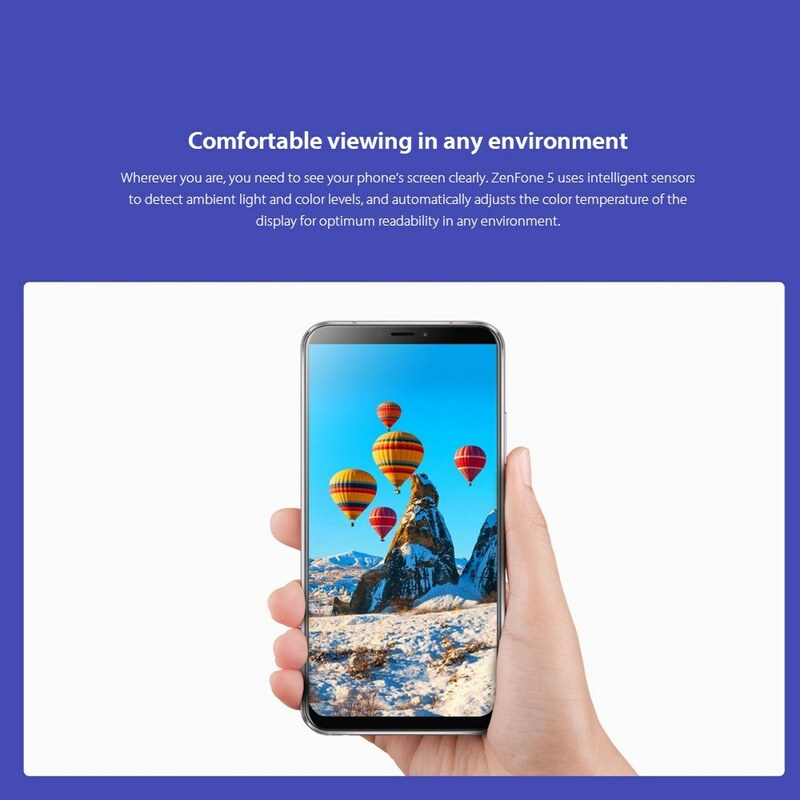 It sports a 6.2-inch FHD+ (1080x2246 pixels) display with a 19:9 aspect ratio. 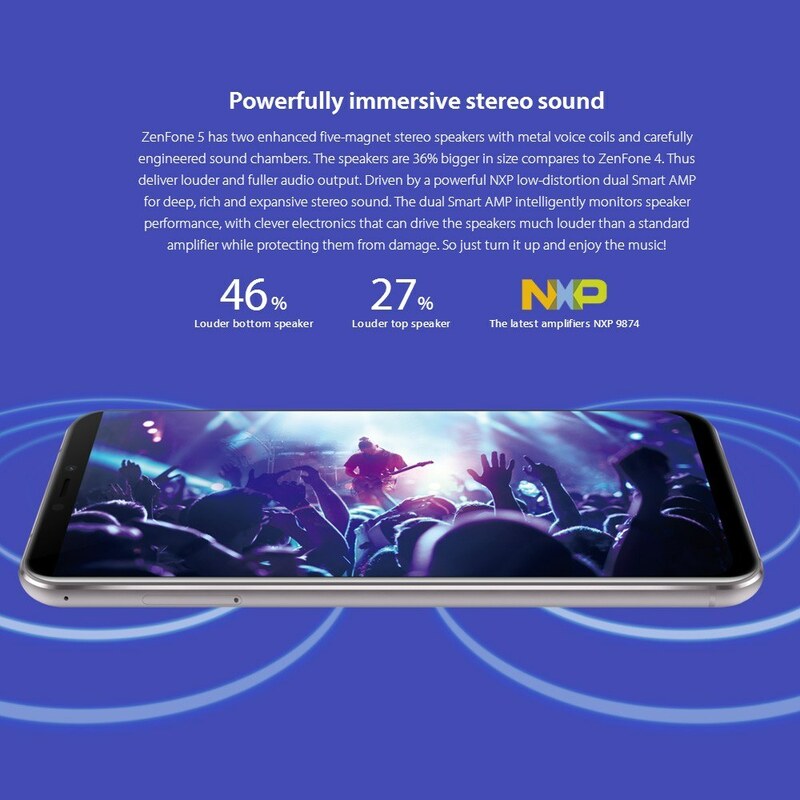 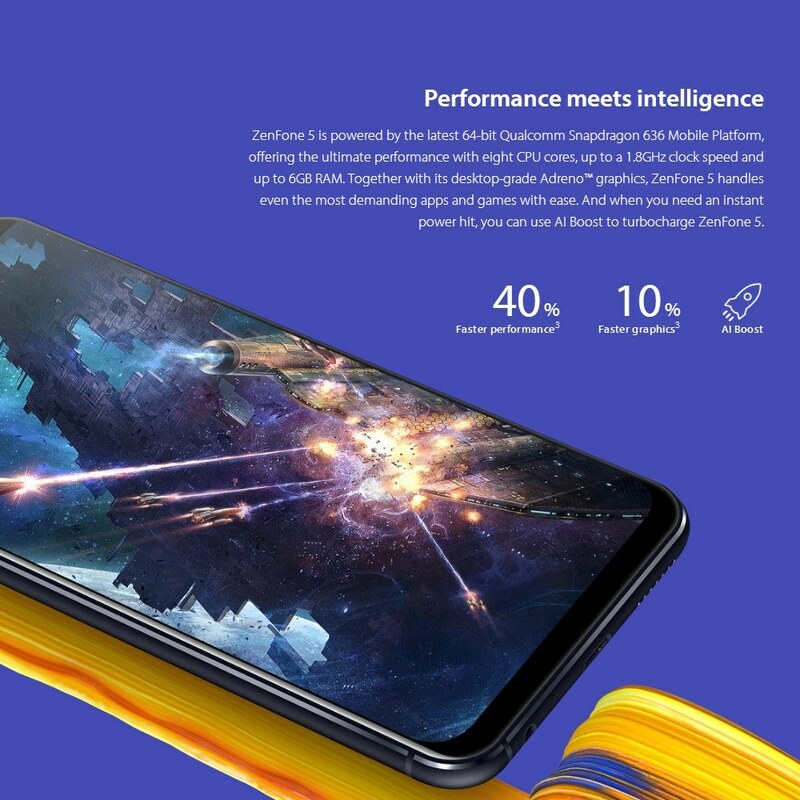 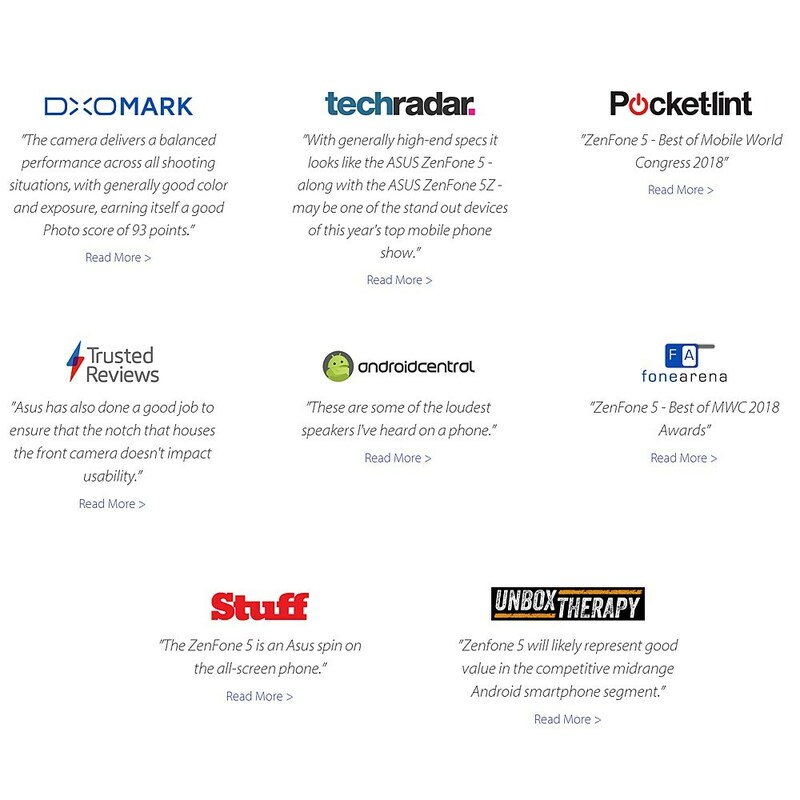 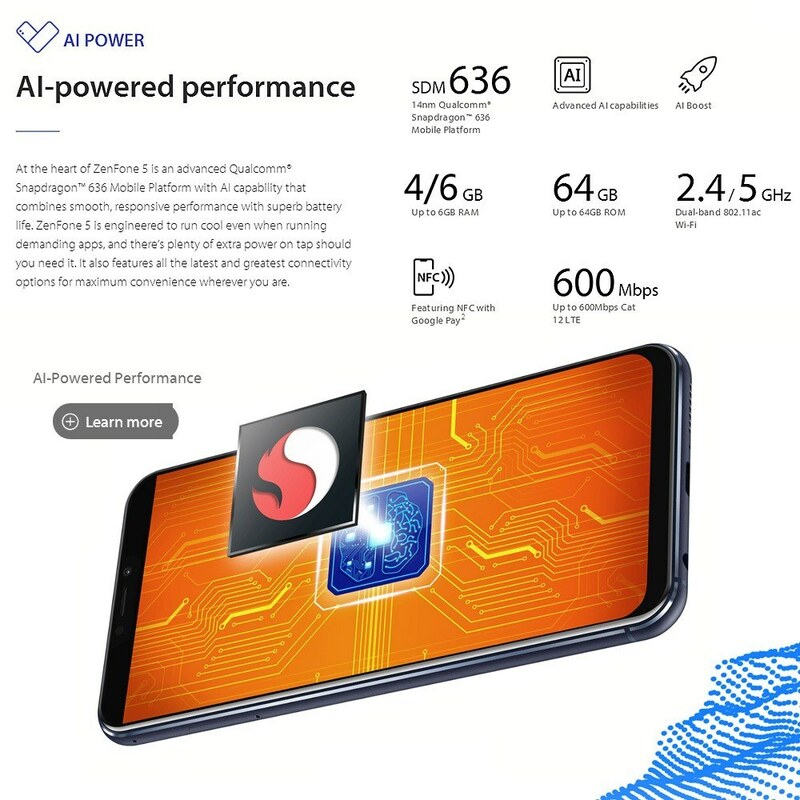 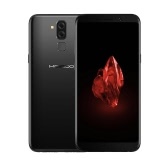 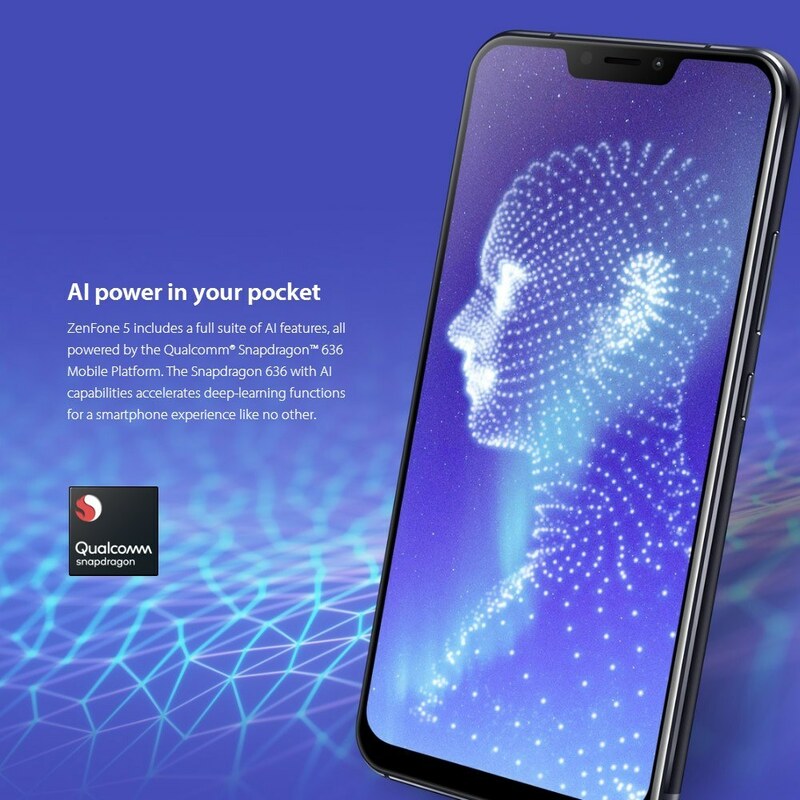 The smartphone is powered by the octa-core Qualcomm Snapdragon 636 SoC, paired with 4GB of RAM and the Adreno 509 GPU. 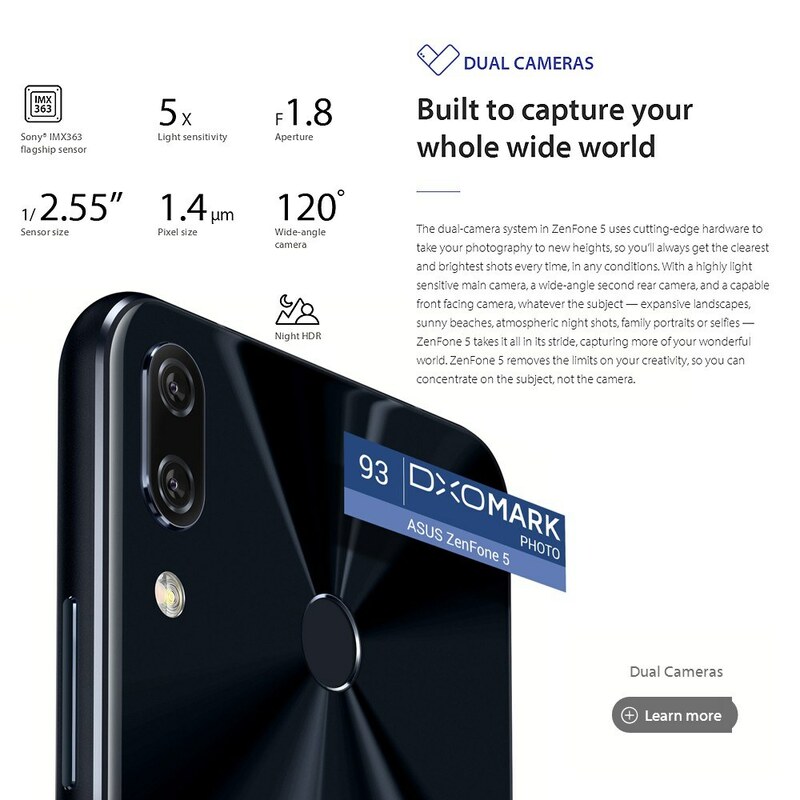 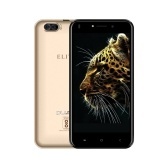 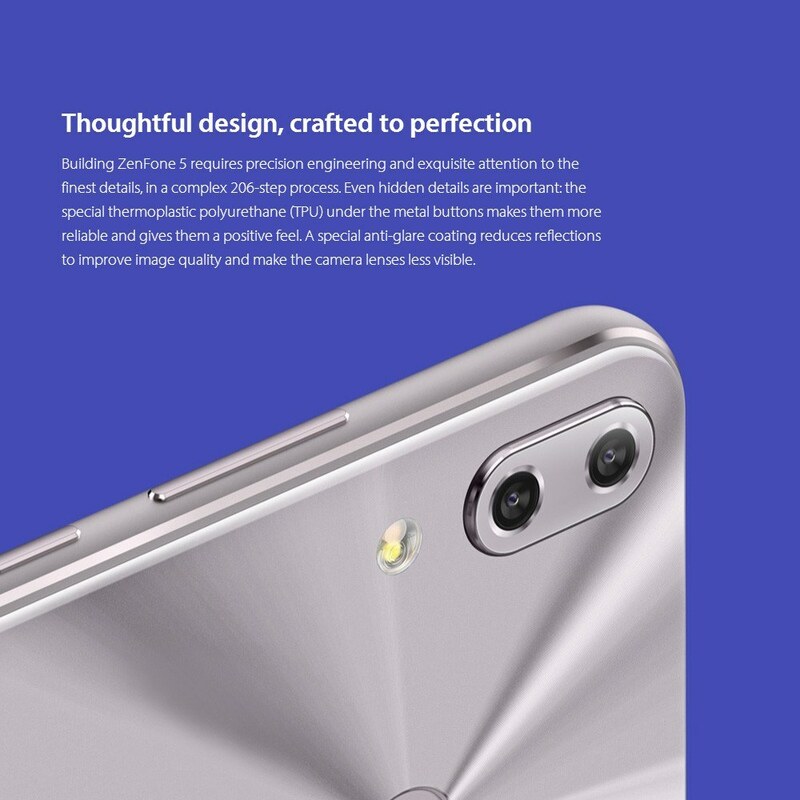 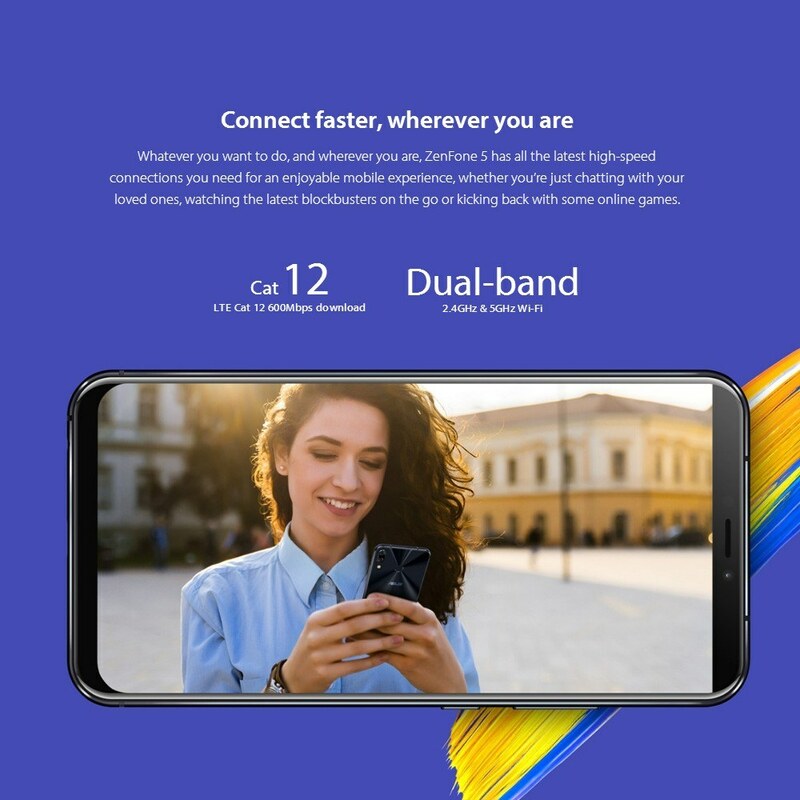 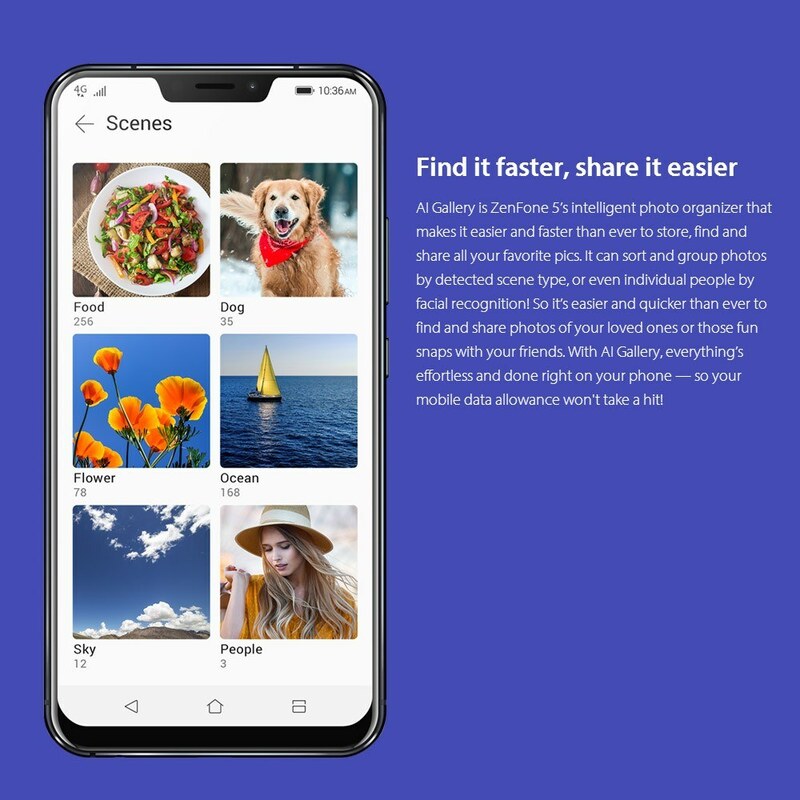 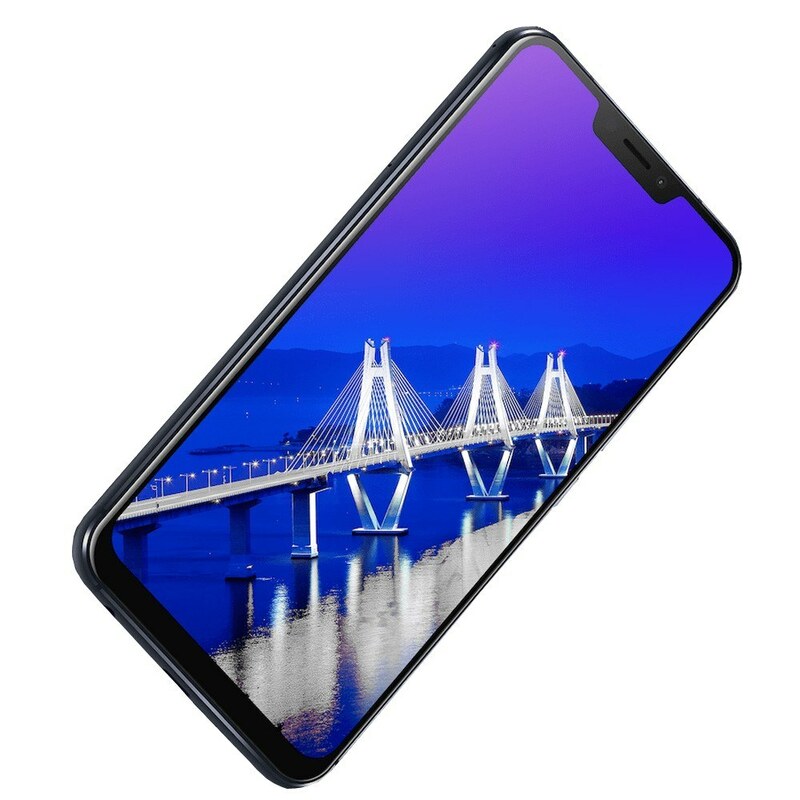 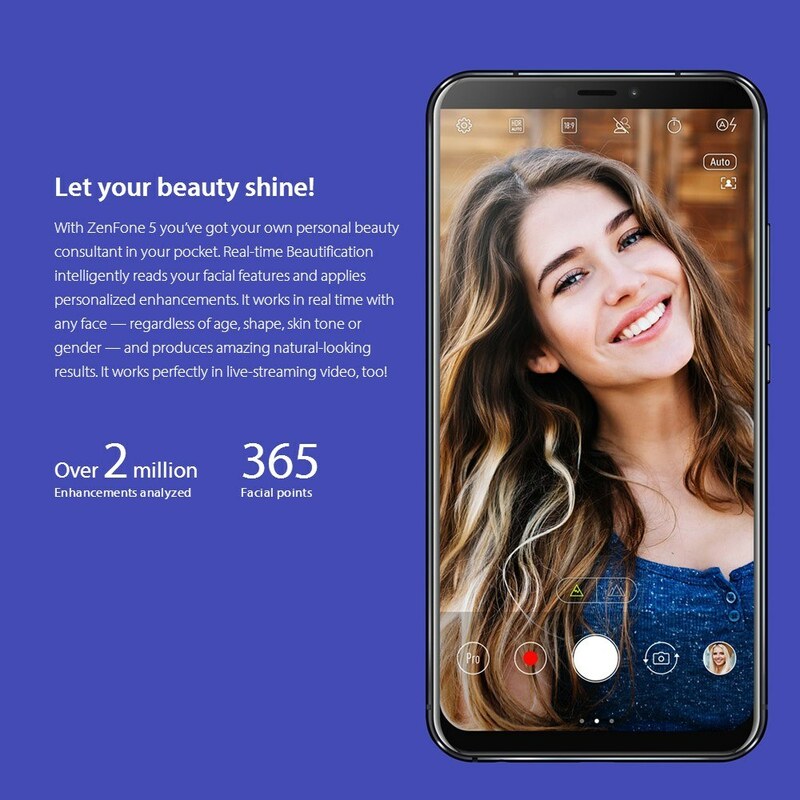 Buit-in 3300mAH super battery, 12.0MP+8.0MP dual rear camera and 8.0MP front selfie camera, the camera provides you long-lasting using experience and capures the most important moment for you. 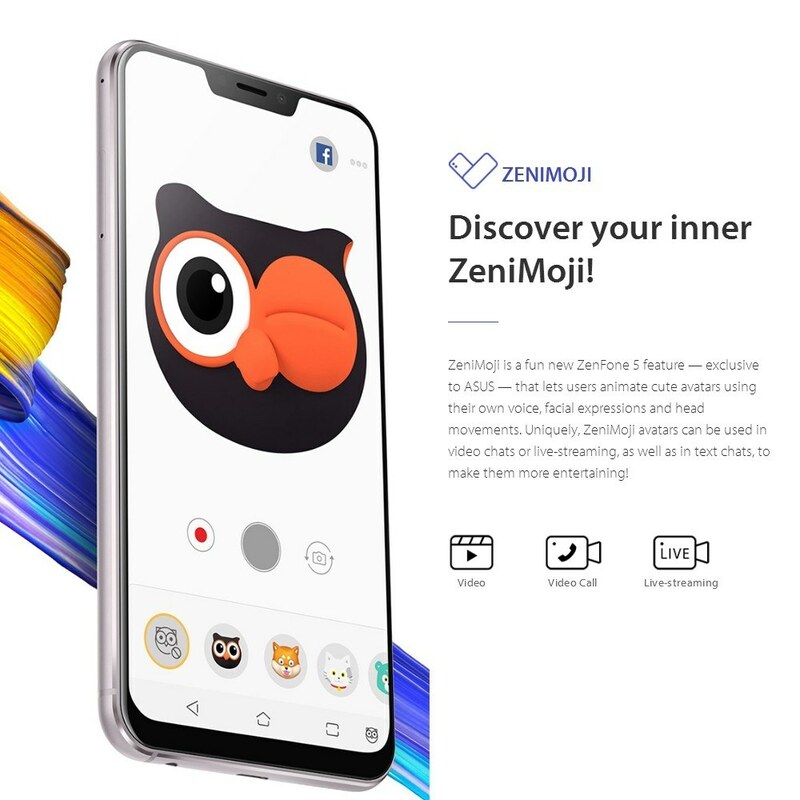 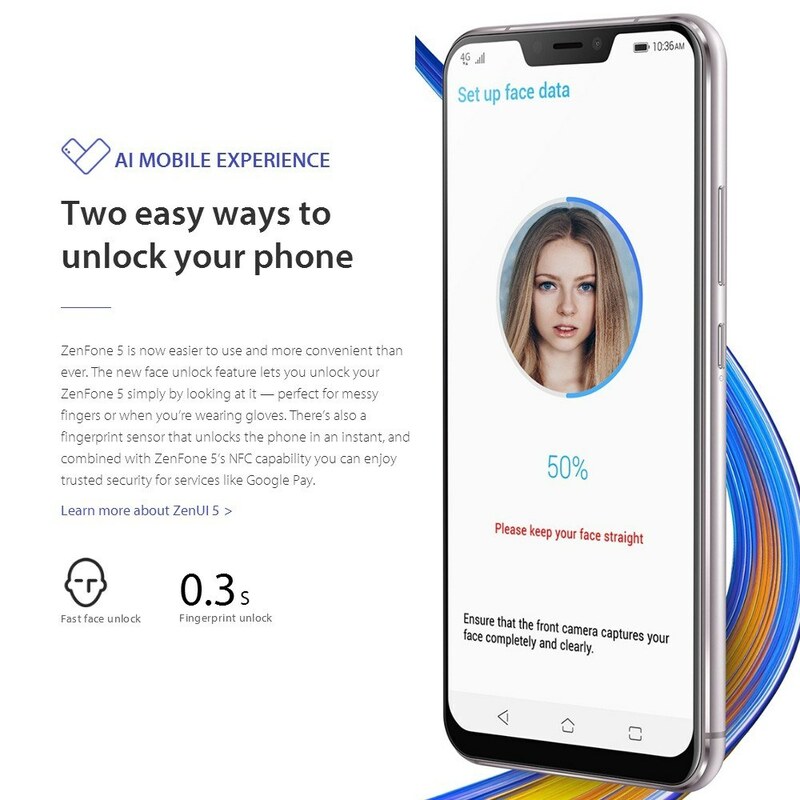 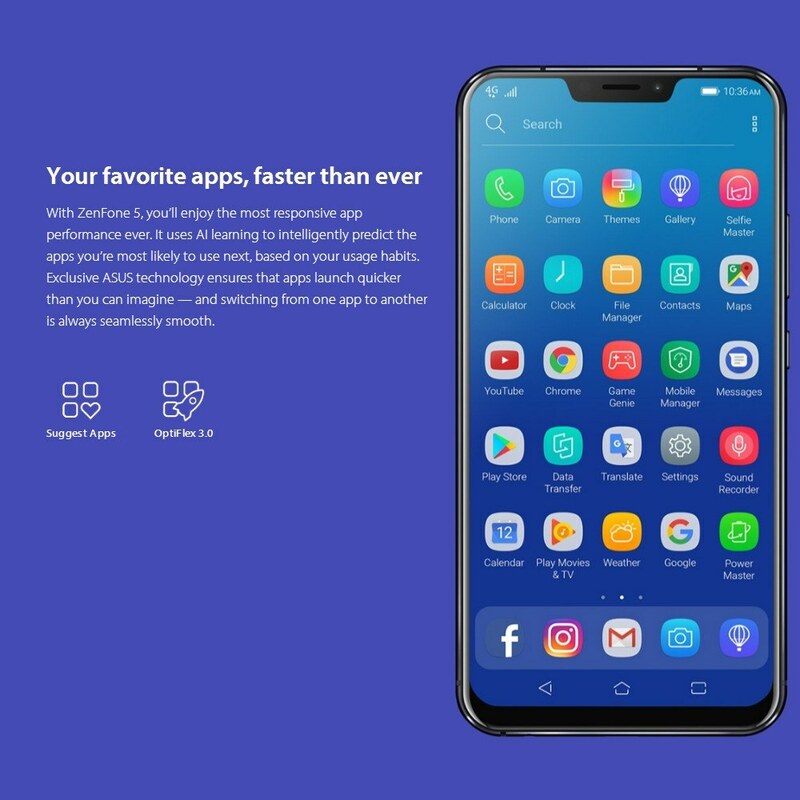 Faster, Smarter and safer, ZenUI 5.0 based on Android 8.0 Oreo, combined with Qualcomm Snapdragon 636 octa-core processor absolutely offers you sweeter operation experience. 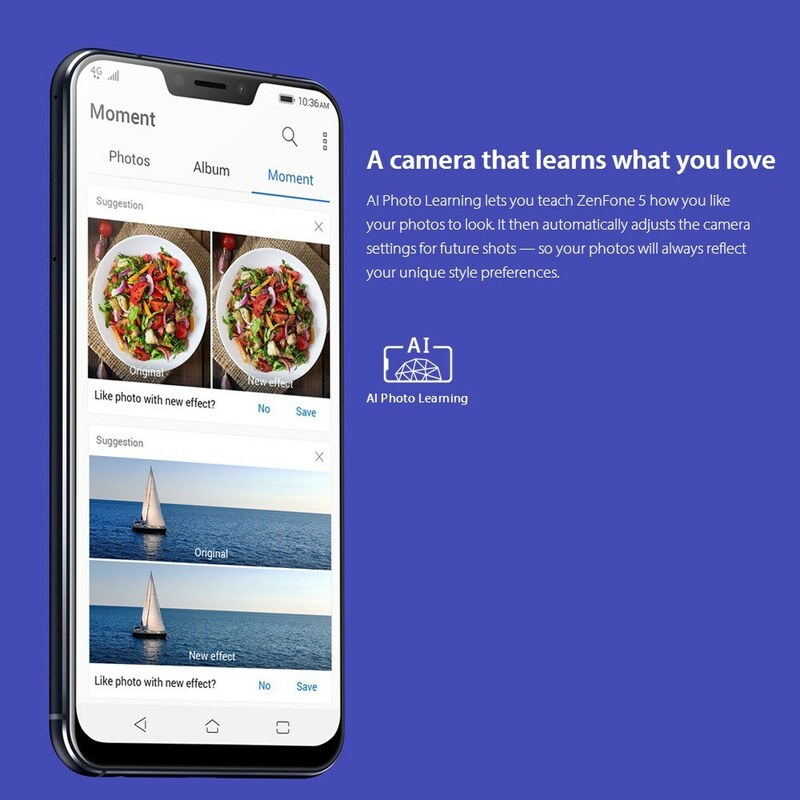 Android fans all over the world can not wait to take the first taste. 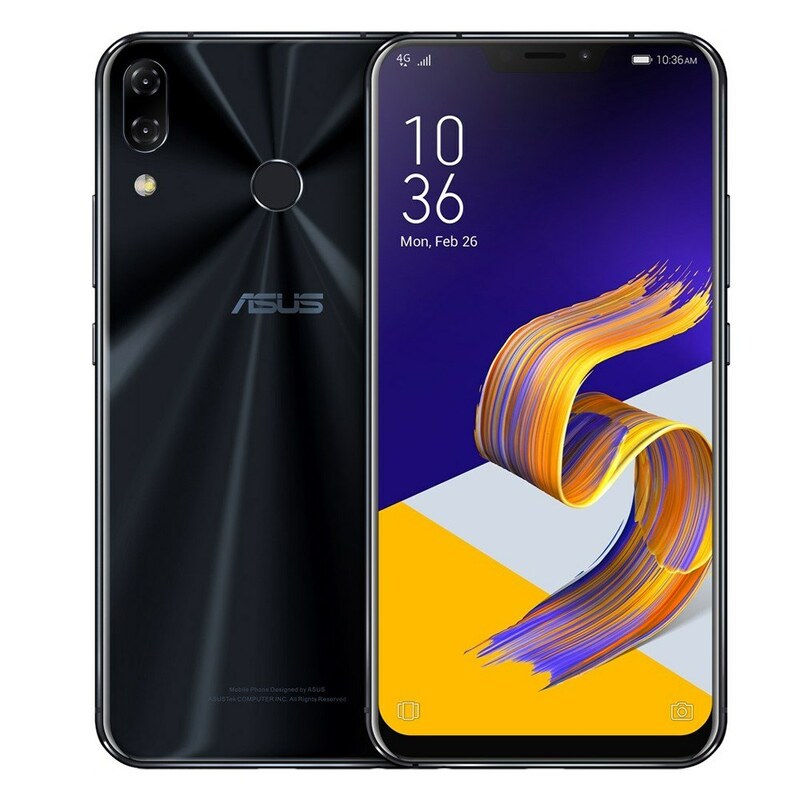 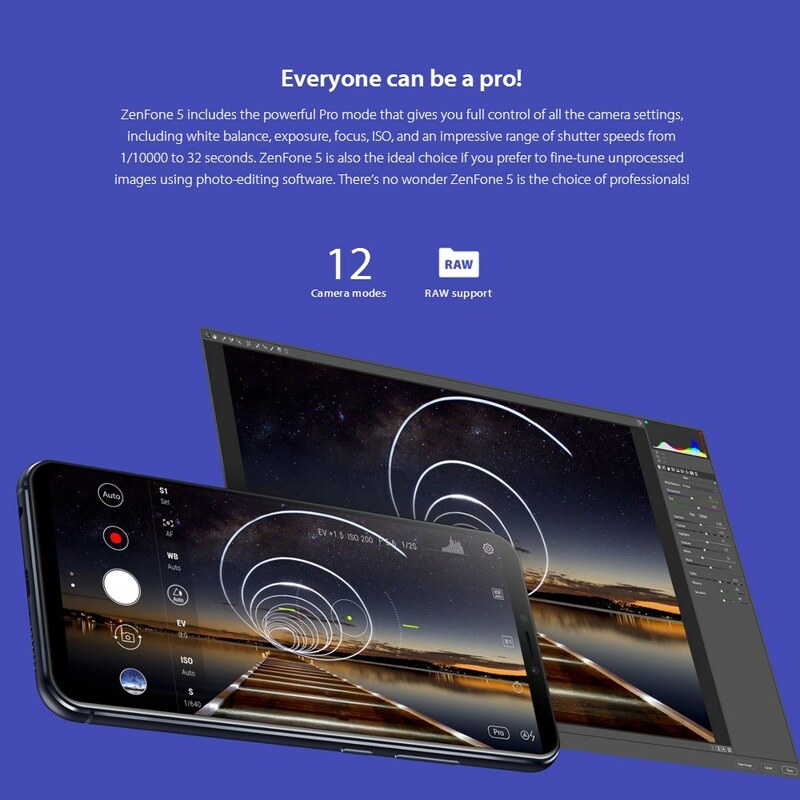 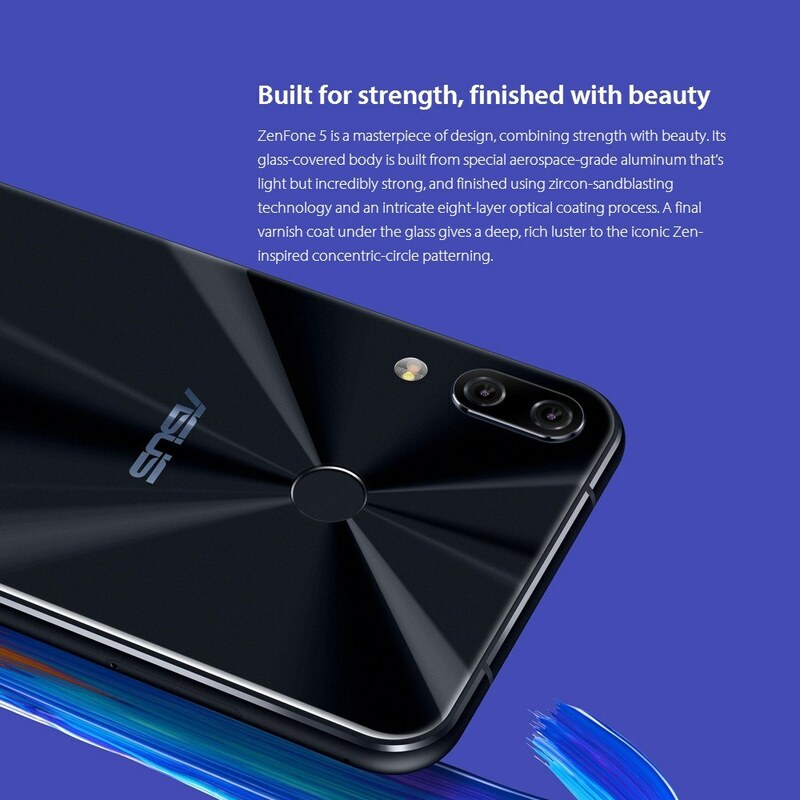 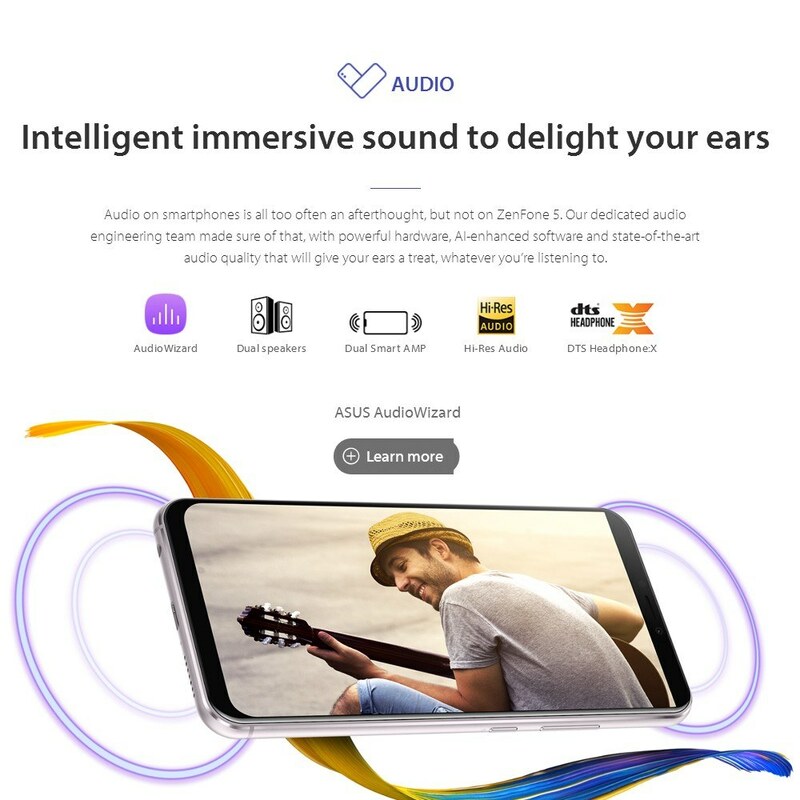 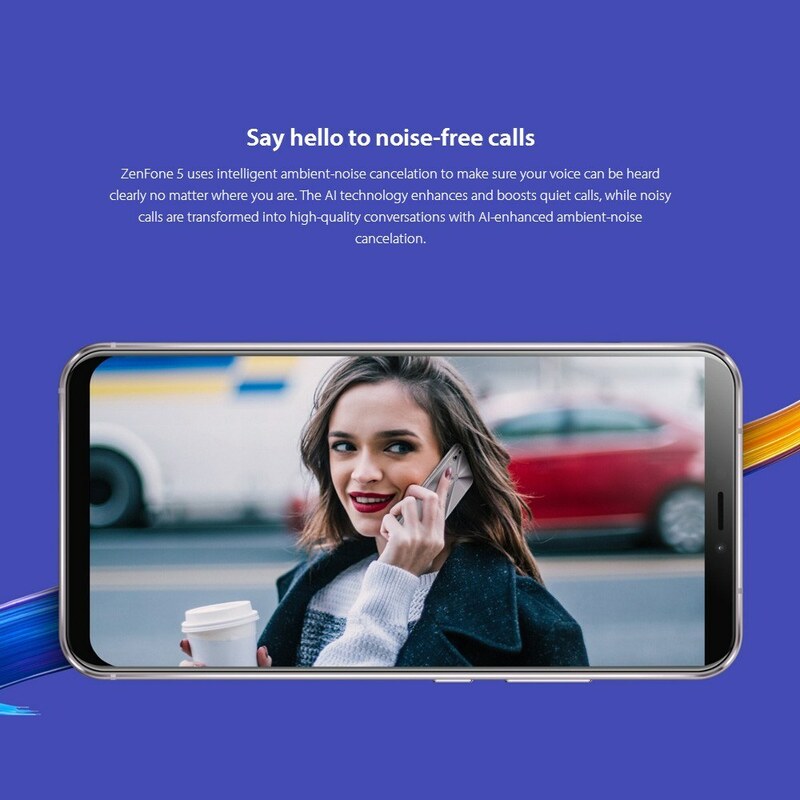 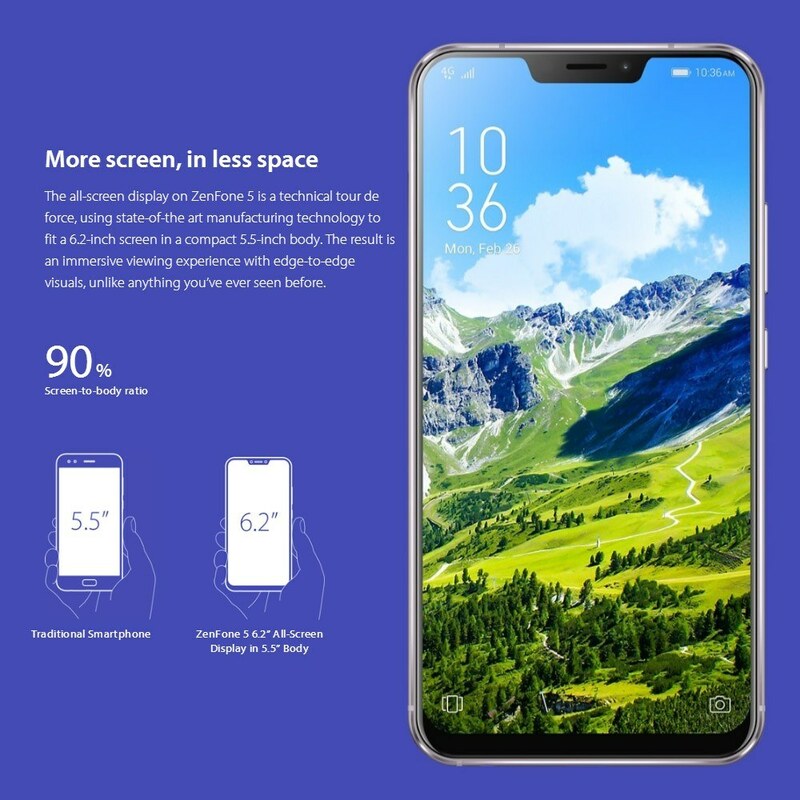 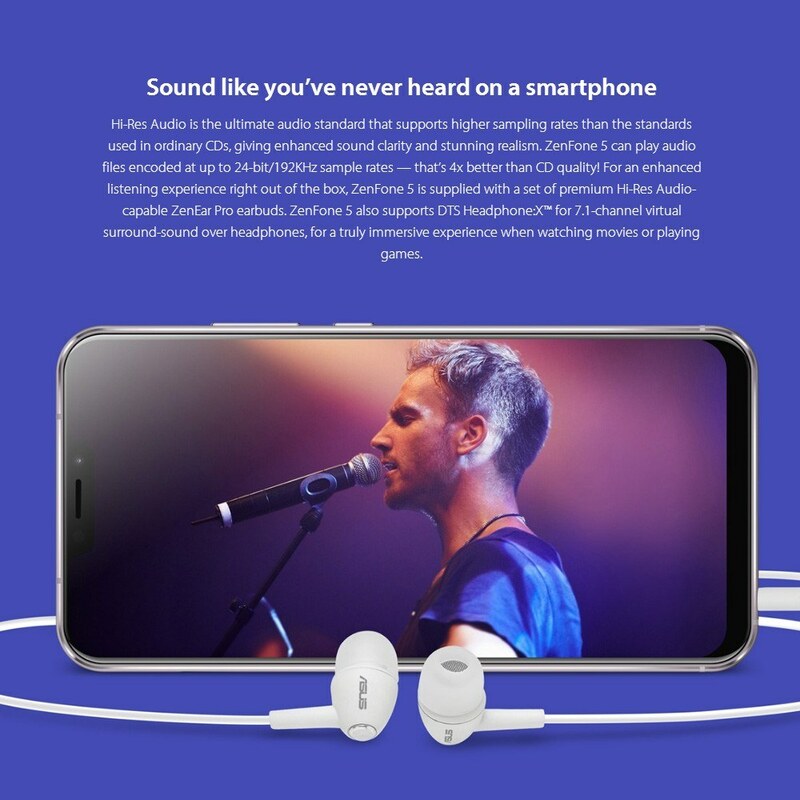 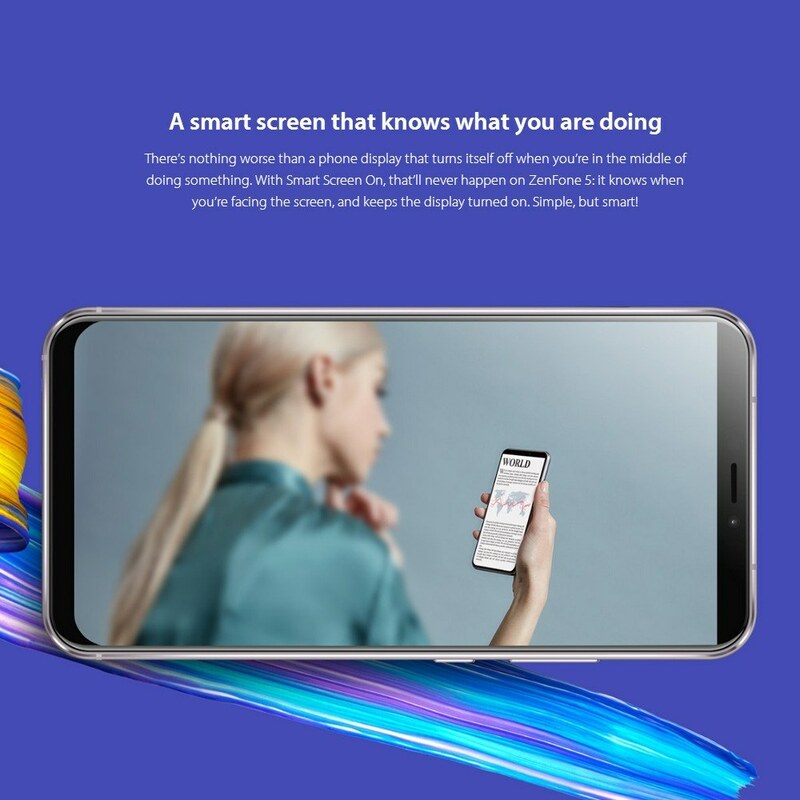 Asus ZenFone 5 adopts a 6.2-inch big screen featuring with 19:9 aspect ratio, enable you to see wider in view yet and still easy to hold with one hand. 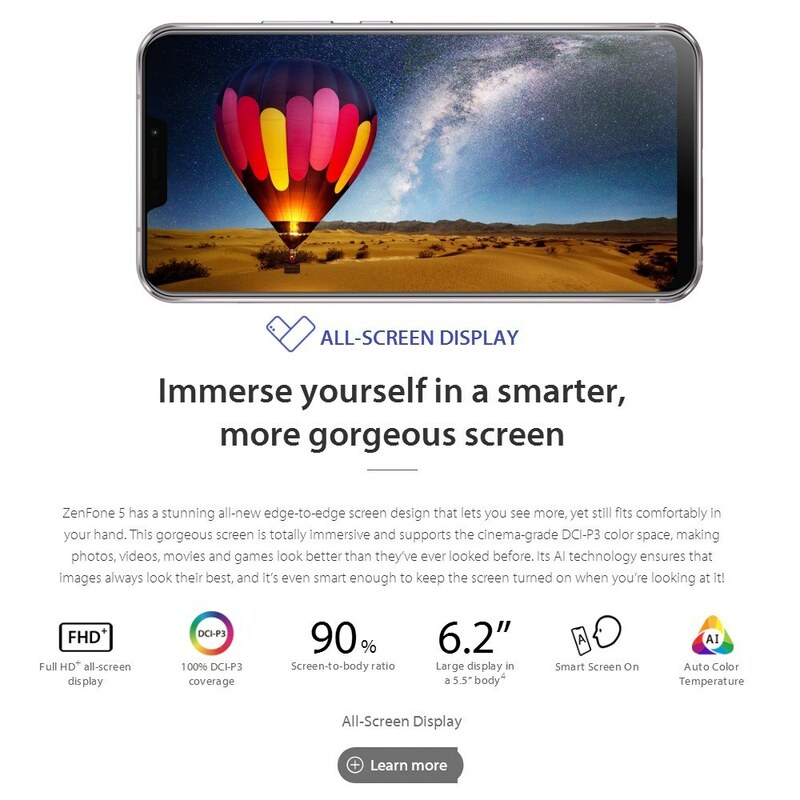 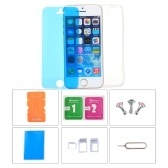 Outstanding bezel craft amazingly raise the screen-to-body ratio, immerse yourself in boundary-less display effect. 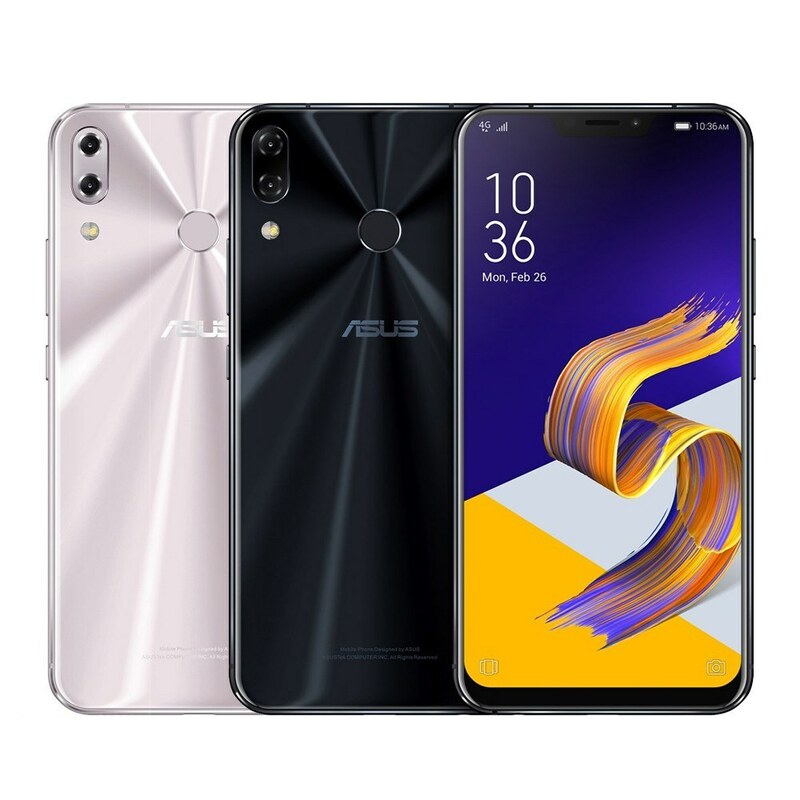 Adopting ergonomic design to make a perfect balance between wight and power, Asus ZenFone 5 with highlight polished process and superior glass of Corning Gorilla, deliberate arc-edge delivers an unprecedentedly comfortable hand feeling for you. 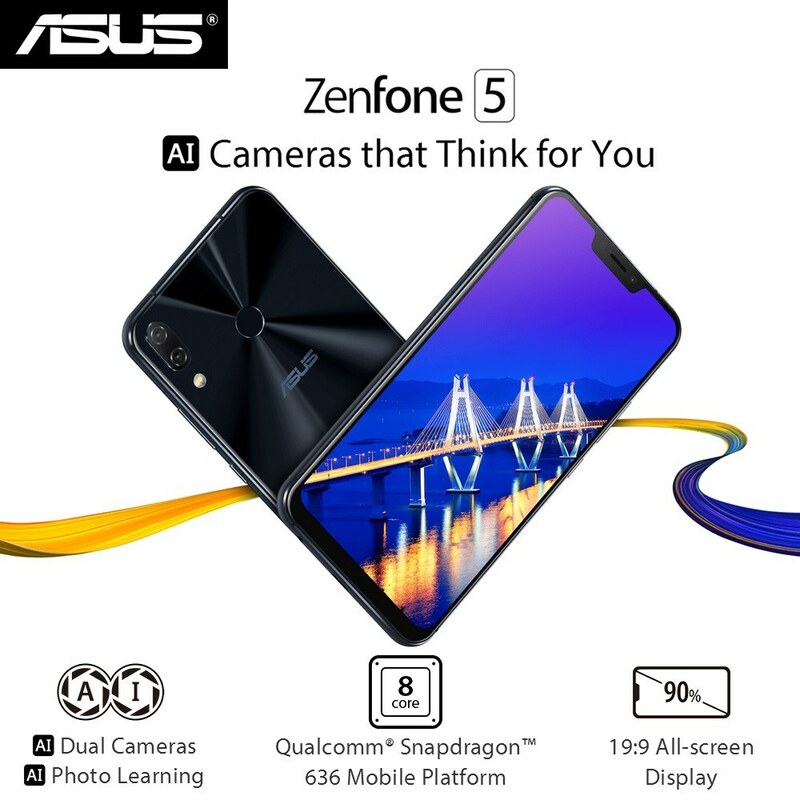 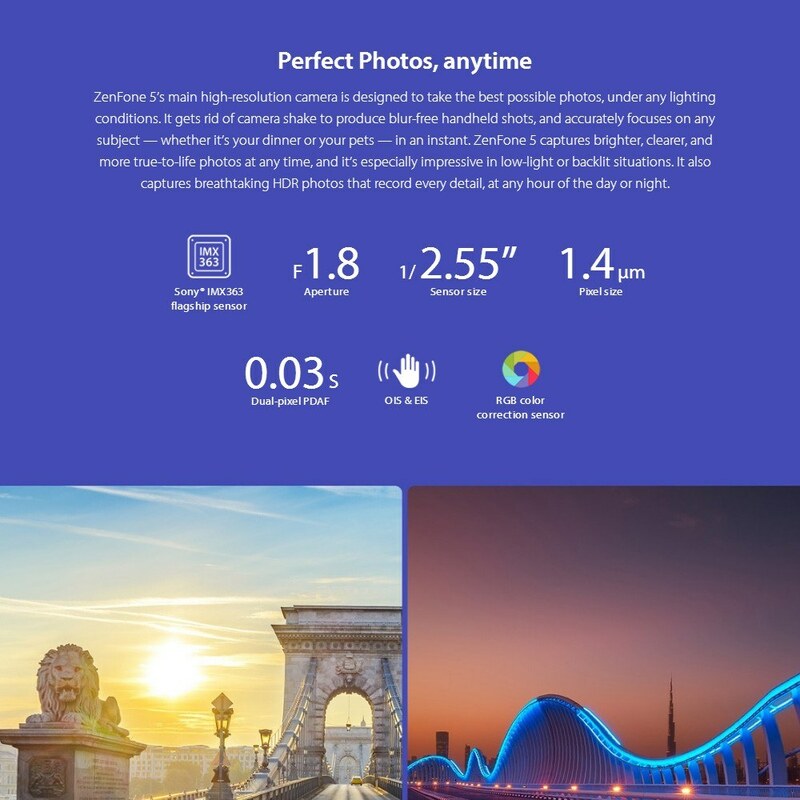 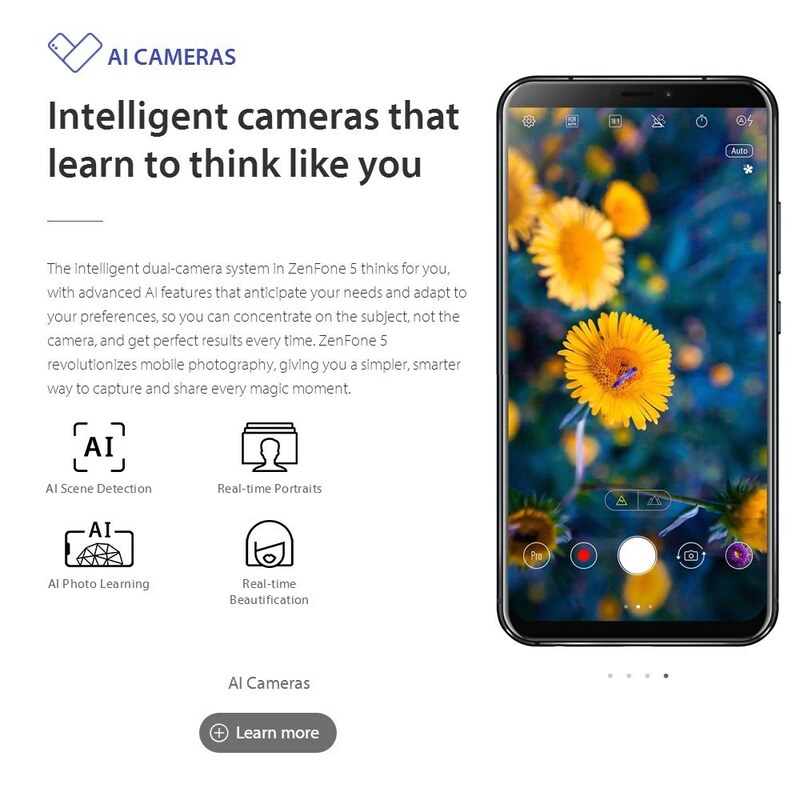 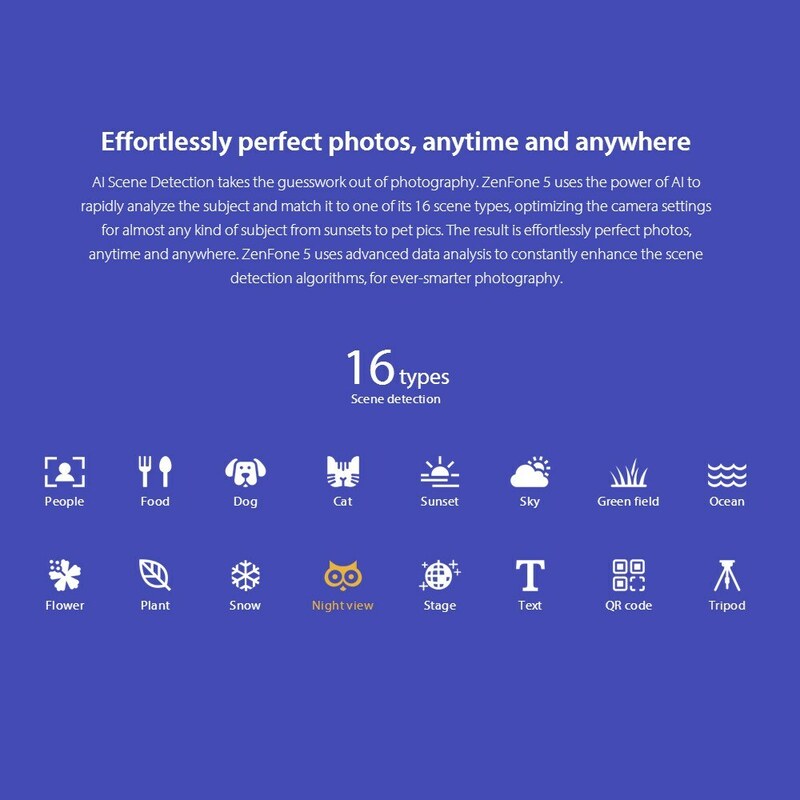 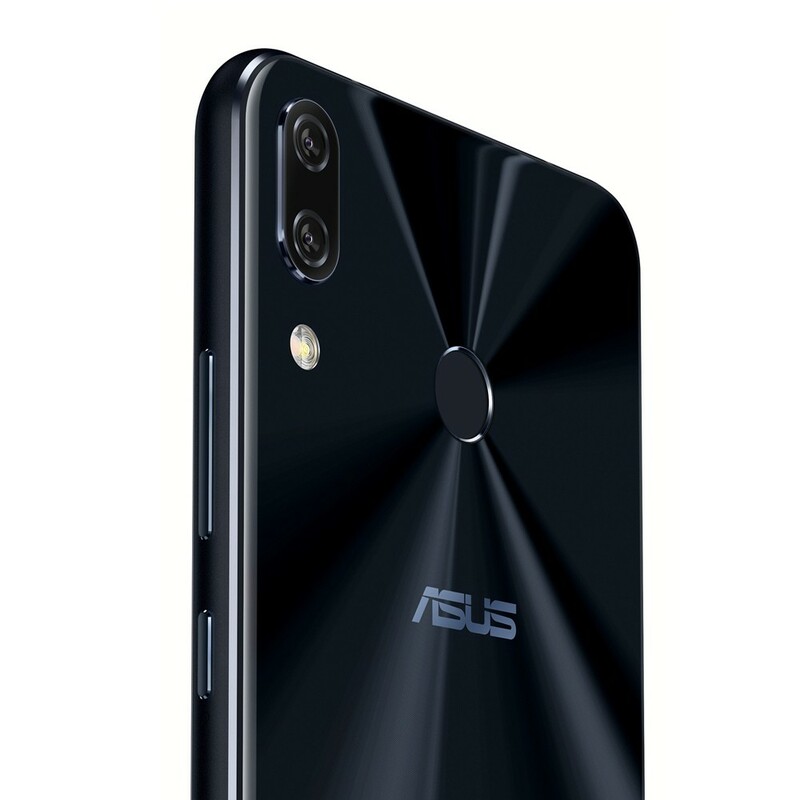 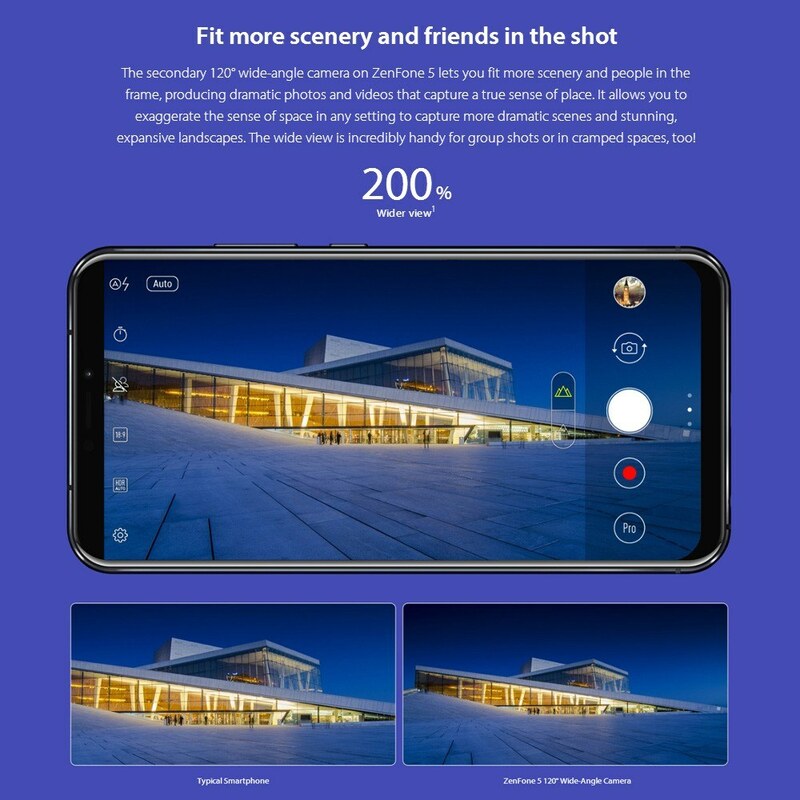 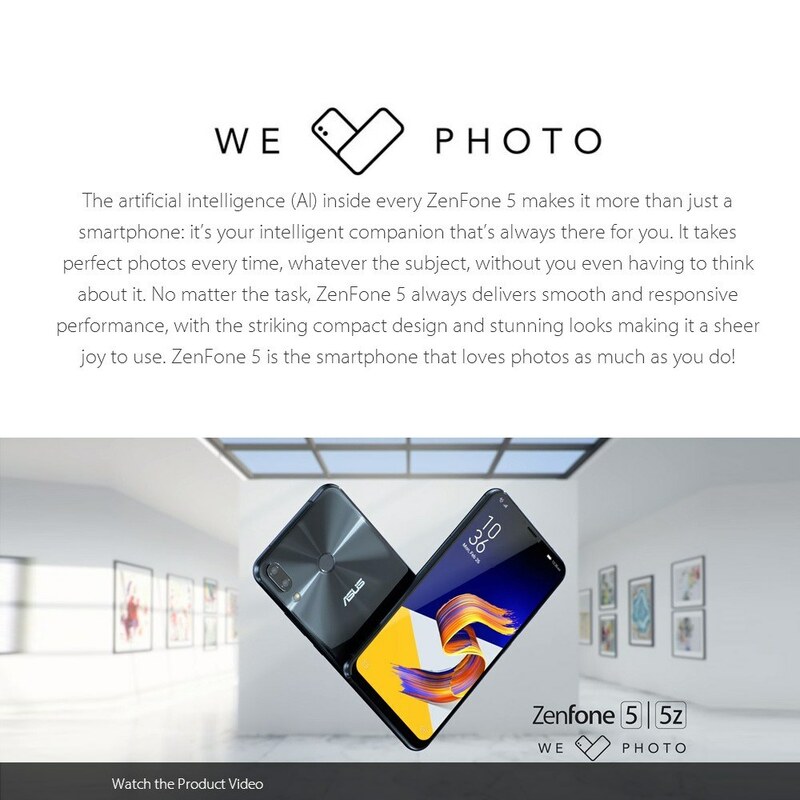 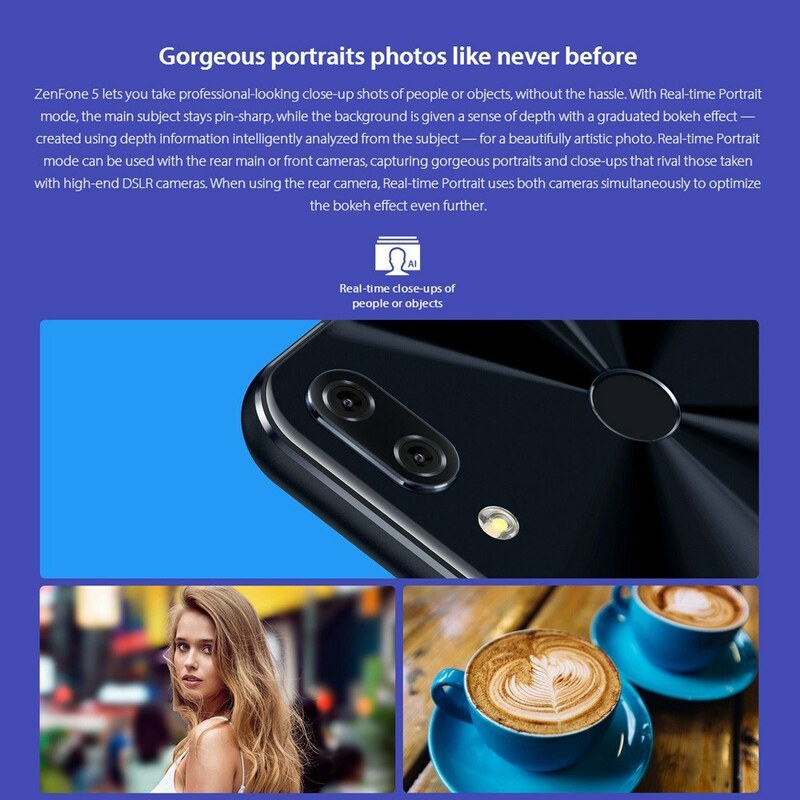 With 12.0MP+8.0MP dual rear camera equipped with two capture sensors, and 8.0MP front selfie camera, Asus ZenFone 5 is bound to make every picture become masterpiece, capturing the best of you. 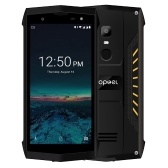 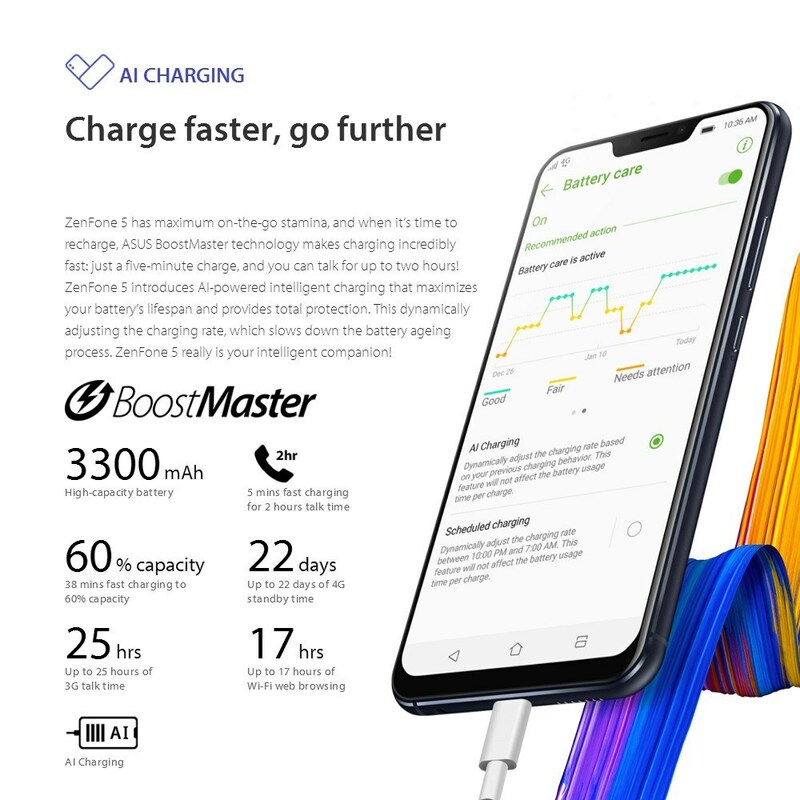 Built-in 3300mAh super battery with the latest fast charge technology and lower battery consumption, support unbelievable long working time in any usage circumstance, providing you long-lasting security and comfort. 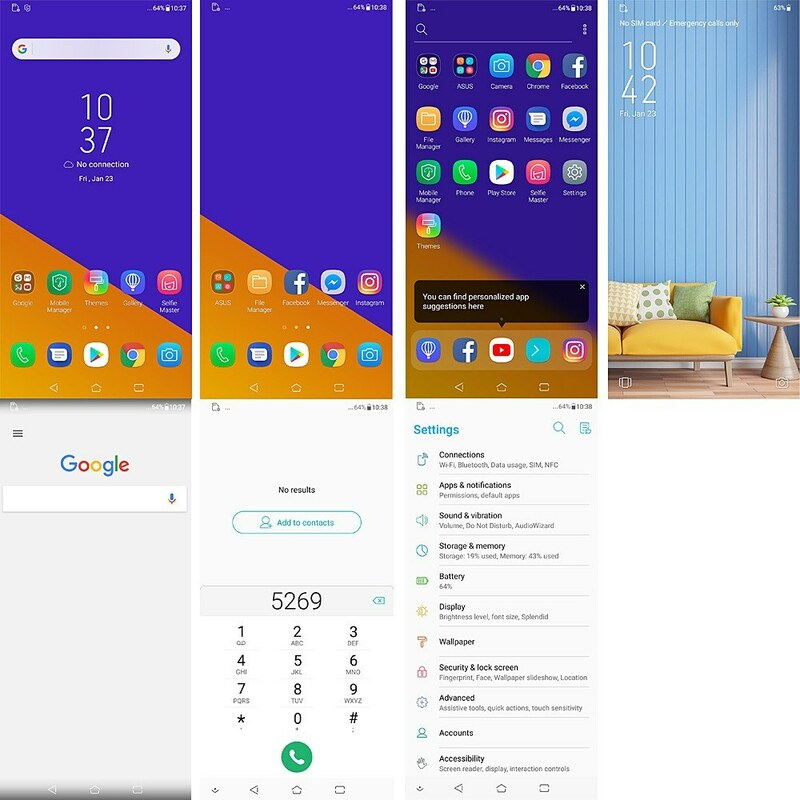 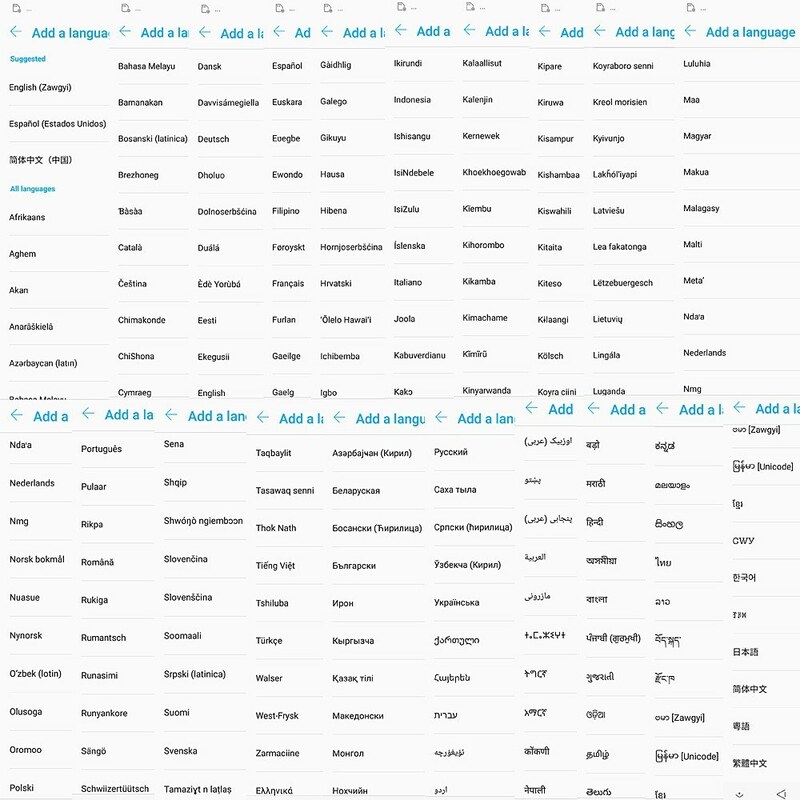 Q What version is this VA, VB or VC? 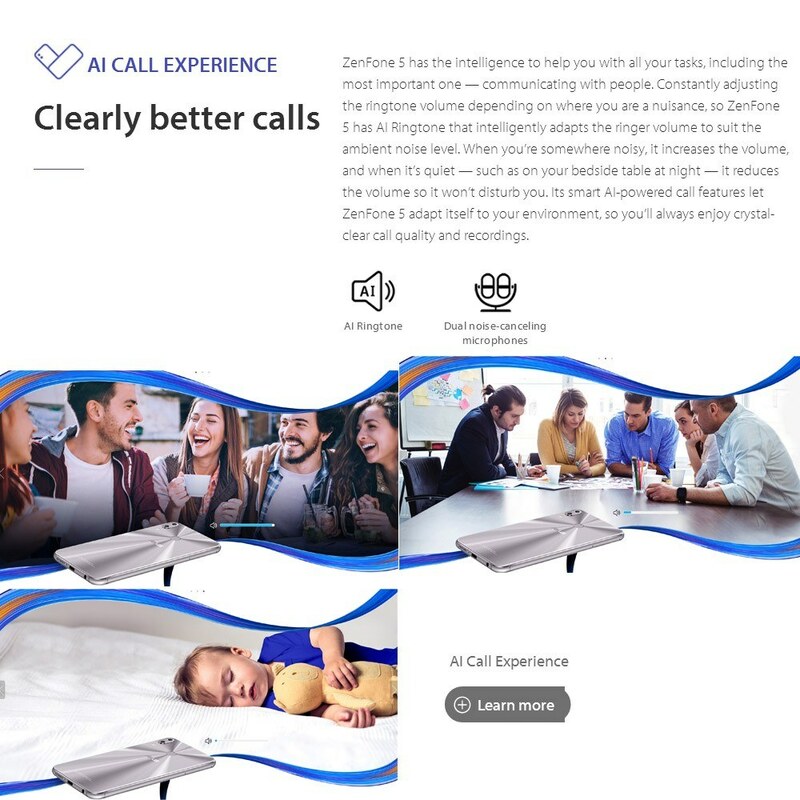 A Sorry, we do not have the right logistics to send to your area. 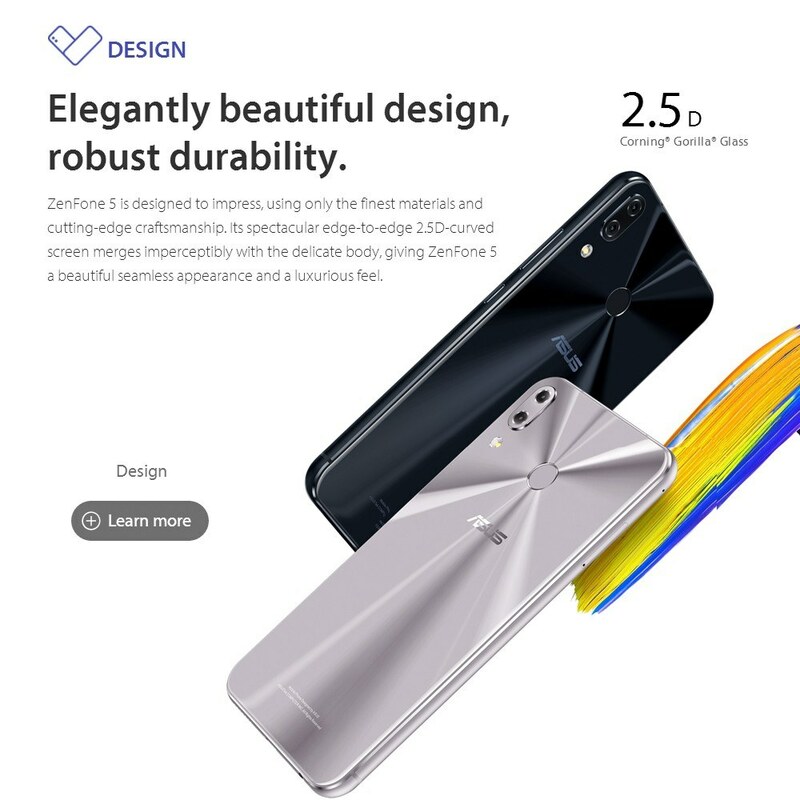 Q why not sent to BRAZIL?